The Great War was the first global conflict of the industrial age and launched on a wave of patriotic fervor and optimism. 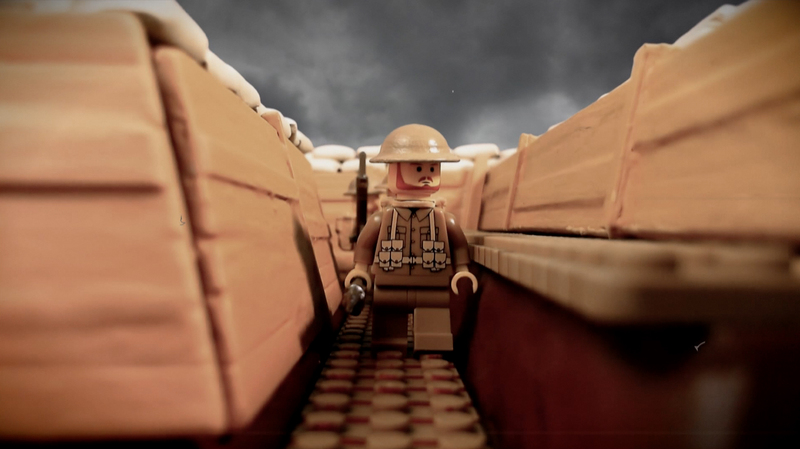 As we commemorate this Great War, Minifig Battlefields is producing faithful reproductions of the Trenches and Battlefields for you to tell your story using British, French and German minifigure soldiers. Compatible with other well know brick brands, our military kits will enable you to learn, animate and tell your story. The Trenches and Battlefields on the Western Front are synonymous with the Great War. Most battles on the Western Front during the WW1, such as Ypres, Verdun, Somme, and Passchendaele involved trench warfare. In the trenches a typical battalion would only be called upon to engage in fighting a handful of times a year, making an attack, defending against an attack or participating in a raid. The intensity of World War I trench warfare meant about 10% of the fighting soldiers were killed. 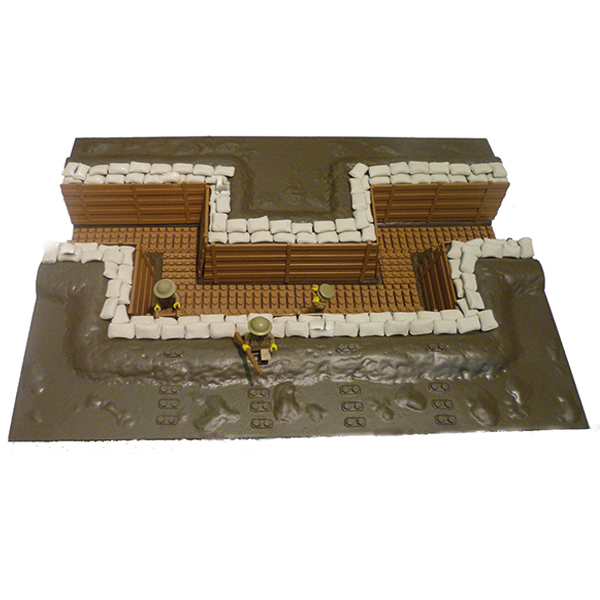 Recreate your trench scene for the minifig soldier with our specially designed Trenches with duckboards and firesteps and across the Battlefield using stiknklik®’ pieces. The main weapons developments prior to WW1 were in machine guns and rapid-fire field artillery guns. The modern machine gun developed in the 1880s and 1890s was a belt-fed gun capable of firing 600 bullets per minute at a range of more than 900m. Development in field artillery saw improved breech loading guns incorporating recoil mechanisms, preventing guns lurching out of position after each shell. For example the French 75mm field gun remained in position enabling sustained firing on a target without readjustment. Machine guns and rapid-firing artillery, when used in combination with trenches and barbed wire entanglements, gave an advantage to defence being able to decimate a frontal assault. Military tactics before WW1 failed to keep pace with advances in technology. These advances, particularly on the Western Front in Europe, allowed the creation of strong defensive systems such as trenches, while barbed wire, artillery and machine guns made crossing the ground in between, ‘no-mans-land’, extremely difficult. It was into this that soldiers of the major powers on the Western Front, the Germans, the French and the British, found themselves placed in 1914, armed only with a rifle, bayonet and grenades. From 1914 the British Empire Force included the Canadians, Australians and New Zealanders. In 1917, the United States also entered the war. Based on the uniforms of the time, our Minifig Soldiers with high quality printed uniform design, can be equipped with a wide range of custom 3D printed headgear, weapons and accessories, to recreate your story through the trenches and across the battlefields of the Western Front. With the commemoration of the 100 years of the start of the Great War, young people are getting engaged to tell their stories in school projects around the country from photos and letters found in the attic, to spoken stories handed down. These projects are fascinating, appealing and rich in content and memories. How can you tell your own story and leave a legacy.